Dietary Fiber and Testosterone: How Important is Fibre? Dietary fiber is a generic term to refer to all plant-based dietary compounds that can’t be metabolized by the intestines. In short, it’s the ‘roughage’ that travels through your system intact. Looking pretty much the same as it enters your system (mouth), and as it exits the system (toilet). Your body processes these fibers in multiple ways. For instance, certain soluble fibers can be converted into gelatin-like jelly, which is then converted into probiotics by the gut bacteria. And the kind of fiber that doesn’t get fermented, usually just acts as a bulking agent and pushes stuff out of the body on its way out (which is why high fiber intake can relieve constipation). Certain fibers can also increase or decrease phytonutrient and micronutrient absorption from the foods we eat, and since some have claimed that dietary fiber can also modulate the rate at which the body removes steroid hormones, many have started believing that in order to improve your testosterone levels naturally, fibrous foods should be somewhat avoided, or generally fiber intake should be kept pretty low. Chances are that if you’ve been reading any of the ‘how to boost testosterone naturally’ articles online, you have already stumbled upon the claim that fiber lowers testosterone levels. The claim is often “proven” by two human studies. One where guys on a high-fat low-fiber diet had 13% higher free-T and 15% higher total-T with also significantly lower estrogen levels than guys who were put on a low-fat high-fiber diet with the same amount of calories. And another one where a change from high-fat low-fiber diet to a low-fat high-fiber kind resulted in a 12% drop in total testosterone levels with also 10% decrease in free-testosterone and DHT fell by 9%. It’s easy to draw all kinds of “fiber is bad for testosterone” conclusions from the above studies, but the fact is that on both studies the subjects had to cut their dietary fat intake to half when they increased the amount of fiber. This obviously screws up the results since its well-known that reducing fat intake results in lowered testosterone production and higher SHBG levels. All the other kinds of studies that have examined fiber intake and testosterone levels, are studies comparing vegetarian/vegan diets to carnivore diets. This also makes the results inconclusive in terms of what is the effect of fiber solely, since plant-based diets come with significantly lower amounts of total dietary fat and are by definition correlated with lower testosterone levels (study, study). 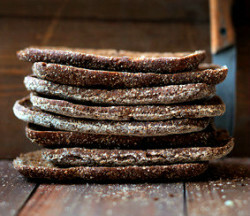 Pretty much the only study that I managed to find that would of have looked the effects of fiber alone on hormones, is an in-vitro (test-tube) study which showed that various purified fibers were able to bind to steroid hormones in the following declining order of strength; flax -> wheat and oat brans -> corn brans -> oat hull. Theoretically this would support the claim that high-fiber intake increases the clearance rate of hormones, but since this is a study done inside test-tubes, who knows what happens inside the gut. There isn’t any definitive proof to say that high-fiber intake would lower testosterone levels, since all the human studies on the topic are paired with low-fat intake or vegan/vegetarian test-subjects. In one in-vitro study, purified and naturally occurring fibers were able to bind steroid hormones, which supports the claim that dietary fiber would increase the clearance rate of T, but then again this is a test-tube study and who knows what happens in living humans.. I would recommend sticking to the recommended ~30g fiber a day or less. 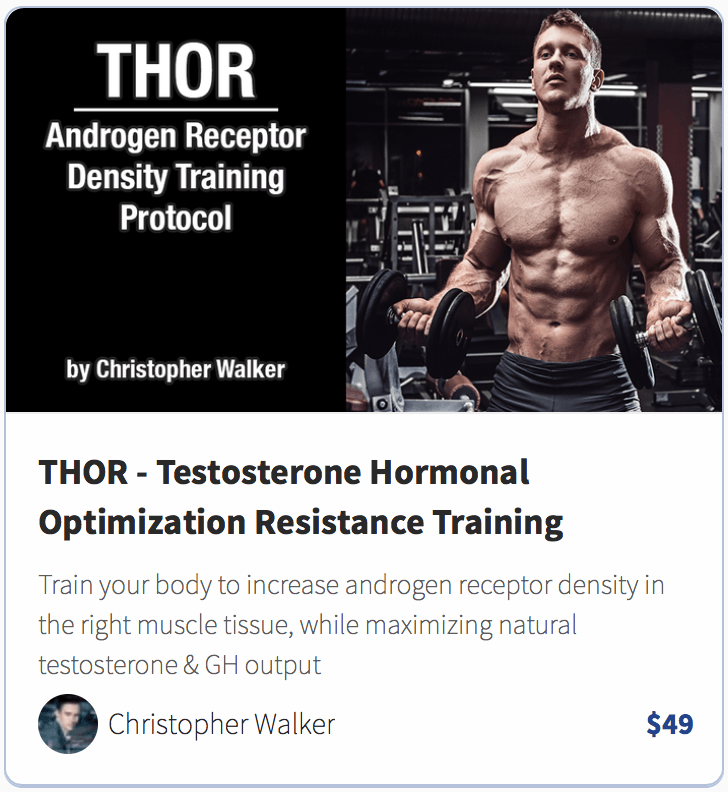 Want 90+ Testosterone-optimized Recipes? 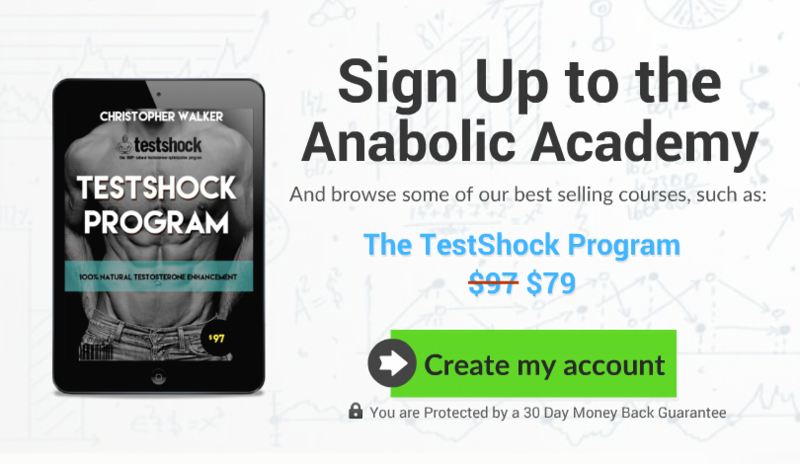 Check out the Testosterone Chef Cookbook at Anabolic Academy.